Detroit, 1911. Seven months have passed since Will Anderson’s friend, Wesley McRae, was brutally murdered, and Will and the woman he loves, Elizabeth Hume, barely escaped with their lives. Will’s hand, horribly disfigured from the sulfuric acid he used to help save them, causes him constant pain, forcing him into a morphine addiction. He lives for nothing except revenge against the people who contributed to Wesley's murder—first among them crime boss Vito Adamo. When Will stumbles upon the bloody body of Adamo's driver, he knows he'll be a suspect, particularly since he was spotted outside the dead man's apartment that same night. He sets out to find the killer, and the trail leads him to a vast conspiracy in an underworld populated by gangsters, union organizers, crooked cops, and lawyers. 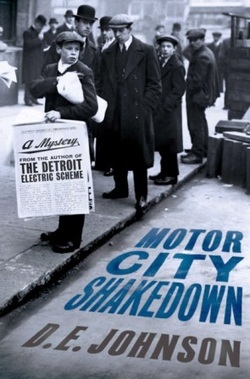 Worse, it places him directly in the middle of Detroit's first mob war. 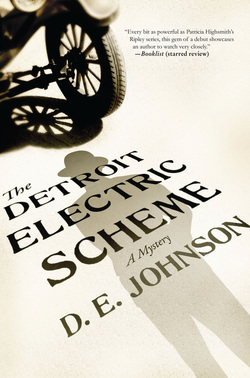 The Teamsters want a piece of Will’s father’s car company, Detroit Electric, and the Gianolla gang is there to be sure they get it. To save their families, Will and his ex-fiancée Elizabeth Hume enlist the help of Detroit Police Detective Riordan, the teenage members of what will one day be known as the Purple Gang, and Vito Adamo himself. They careen from one danger to the next, surviving shootouts, kidnappings and police brutality, while barreling toward a devastating climax readers won't soon forget. Will Anderson and Elizabeth Hume are called to the vast Eloise Insane Asylum outside of Detroit, where Elizabeth’s cousin Paul is a patient, and now a murder suspect. The victim, like three others before him at the asylum in recent months, was killed with the infamous “Punjab lasso,” the murder weapon of the Phantom of the Opera. Certain of Paul’s innocence, they begin an investigation with the help of Detective Riordan. Will has himself committed to the asylum to investigate from the inside, and Elizabeth volunteers at Eloise and questions people outside the asylum. While Will endures horrific conditions in his search for the killer, Elizabeth and Riordan follow the trail of a murder suspect all the way to Kalamazoo, where they realize the killer might still be at Eloise, putting Will in extreme danger. They race back to Detroit, but will they arrive in time to save Will and bring the killer to justice? 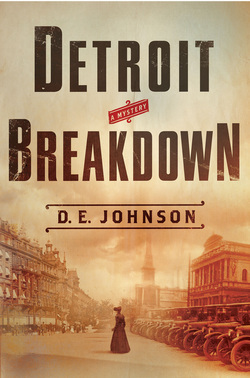 Filled with Johnson’s trademark rollercoaster plot, nuanced characters, and brilliant historical research, Detroit Breakdown is a compelling, dark mystery set in the once flourishing Paris of the West.